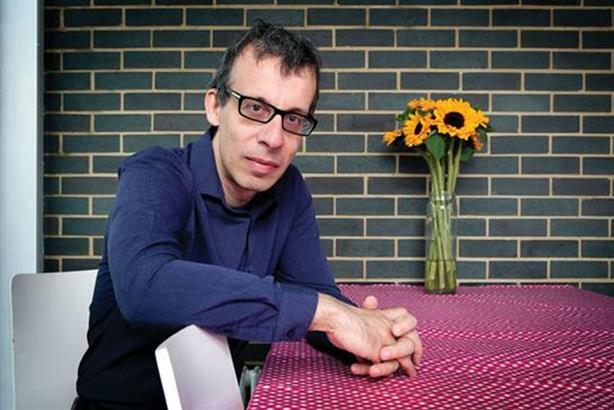 Weber Shandwick has acquired That Lot, the London-based social creative agency co-founded by British comedian, actor, writer and director David Schneider. The acquisition means That Lot’s circa 65-strong team move to Weber’s London office in Waterhouse Square, joining the latter agency's workforce of around 300. The deal is believed to have been worth in the region of £4m to £6m ($5.3m-$8m). That Lot was founded in 2014 by Schneider - famed for his role in TV shows including The Day Today and I’m Alan Partridge, and more recently his high-profile social media presence - along with writer and social content specialist David Levin and MD David Beresford. The agency specialises in "social-first", platform-specific content and production. Its client list includes Channel 4, Intercontinental Hotels Group, McCain, B&Q, Have I Got News for You and Jamie Oliver. That Lot’s workforce includes creatives, designers, writers and videographers, as well as project managers and account teams led by Laura Tannenbaum, ex-social and marketing specialist at Bauer Media, News UK and Global Radio. Weber Shandwick London CEO Rachel Friend told PRWeek that Weber and That Lot have already undertaken joint work with clients. Asked how the two teams will work together in the future, she said: "That Lot will absolutely remain working on their book of business, and we will be working with That Lot on a few assignments this year. "As briefs come in, either from existing clients or through new business briefs, we will involve That Lot in the response as required, so they just become a integral part of our team." Levin told PRWeek That Lot’s workforce will "remain as it is for the moment", and he expects the agency’s growth to "accelerate" following the acquisition. Asked what attracted Weber Shandwick to its new acquisition, Friend said: "I think [the That Lot founders] are some of the most sought-after creatives in our business, and that combined with Weber Shandwick’s expertise in integrated communications, data analytics and social strategy, will really help Weber Shandwick to continue to bring cutting-edge social and digital solutions to our clients. It feels like the right partnership." Levin said: "It was obvious to us that Weber Shandwick excels at creating engaging campaigns fuelled by world-class audience research, strategy and data. That's why we felt they were the perfect partner to help us continue to develop and globalise our business." Sales details have not been disclosed. That Lot becomes the fourth digital specialist agency acquired by Weber Shandwick in the past eight months, following Brazil’s Cappuccino in May this year, and New York-based Bomoda and Resolute Digital last December. The Interpublic-owned agency’s most recent acquisition in London was mobile specialist agency Flipside, which it bought in 2016. Asked about future acquisitions, a Weber Shandwick spokesperson said: "Weber Shandwick continually seeks opportunities to expand our capabilities and expertise in order to deliver on client needs – both internally and through partnerships where it makes sense for our business."